South Australia Archives - Adventures from where you want to be. My favourite place so far. 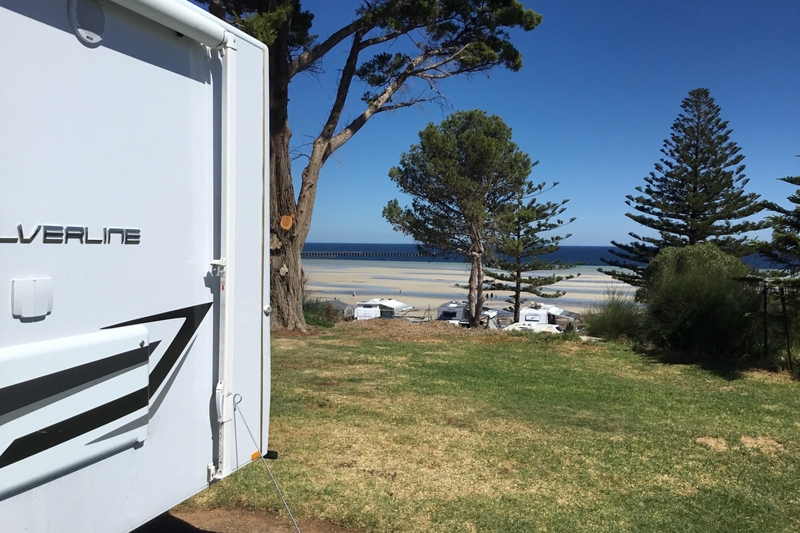 On the York Peninsula and only a couple of hours away from Adelaide, Moonta Bay has a fabulous beach for families with the tide going out at least 150 metres from the shore on low tide, leaving ankle deep water or none, right out to the shark proof swimming area. Comes in nicely for a very enjoyable high tide swimming area with all the local children making the most of it! Adding to that is the fabulous caravan park on the shore with fabulous beach view beheld by almost every site. One of the few mining ventures of the York Peninsula, copper was mined from the late 1800’s to mid 1900’s with various methods, each showing the resilience and brilliance of mind of the pioneers. Few buildings remain, but it is possible to get the gist of each era by the signs that flank the well defined tourist route through the old township of “Moonta Mines”. The magnificent school building once housed over 800 children! The modern town of Moonta is the continuation towards the sea of the old township. Today it is mostly a retirees town, with few professional fishermen, but many, many amateur fishermen, mostly of the grey nomad tourist class! And they just LOVE the place!! The first miners were from Wales, hence the sign on the close up of the school. The railway still runs a tourist train for about 5 kts with a running commentary of the history of the ming operation etc. Many people still live in houses like this Minor’s house. They have very low doorways and roofs. In all, a very interesting place to visit. The one thing we have learnt over the last few years of traveling is the freedom you have when you are on the road with a caravan behind you. With the help of Camps 8, we are able to map out our days and travel around this amazing country. If we decide we like somewhere we are able to stop for a few days, if we have enough we can move along to the next place. Australia really is a beautiful place. Travelling on the Final day. The thing about travelling with children is they often wake you up early and our last day was no exception. Our children all woke up before the alarm clock which allowed us to get on the road as the sun was rising. Our aim was to get to Bordertown, 800 kms away. Imagine our surprise with how well the children travelled and we made it home instead, 1200 kms away. The wind once again was very strong and the rain showers started. Whilst not very good driving conditions the view for all of us travelling was nice and we saw over half a dozen rainbows throughout the day. The drive from Glendambo to home is a very interesting one as you see so many different terrains in the one trip. The highlight for the children was when we stopped at Bumbunga Lake. It is a salt lake located just out of Lochiel South Australia. The lake has a stunning pink colour from the natural salinity of the water. But for me the highlight of the day came much later in the day, after 6000kms when we drove in our driveway. I have been amazed by the quality of the Stuart highway on our trip North and today as we headed up the explorers way it was no exception. We left Coober Pedy this morning and continued on our journey to Alice Springs. The children were very excited to take their picture crossing into Northern Territory and even more when they realised the sign said South Australia on the other side. Our children have travelled extremely well so we stopped just 200 kms short of Alice Springs so they could spend a little more time on the ‘Explorers Way’. Checking out Emus, Galahs and even catching a glimpse of a Camel.